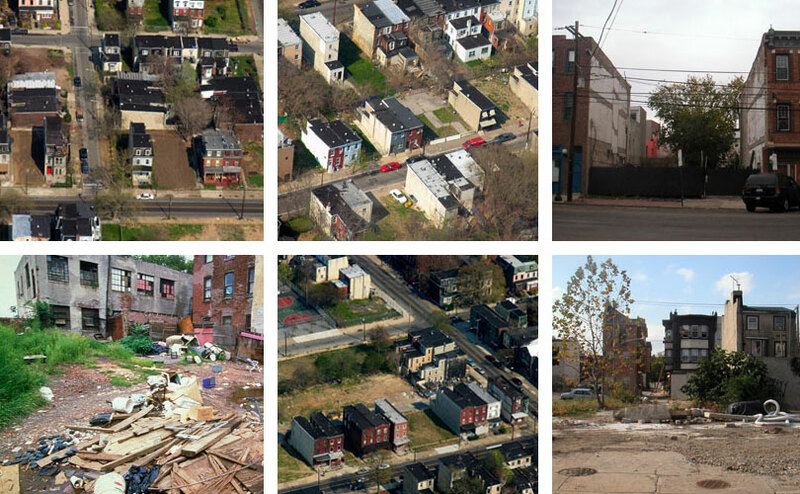 Philadelphia is nowadays the metropolis of the United States with the largest number of empty areas, derived from the demolition of abandoned buildings. 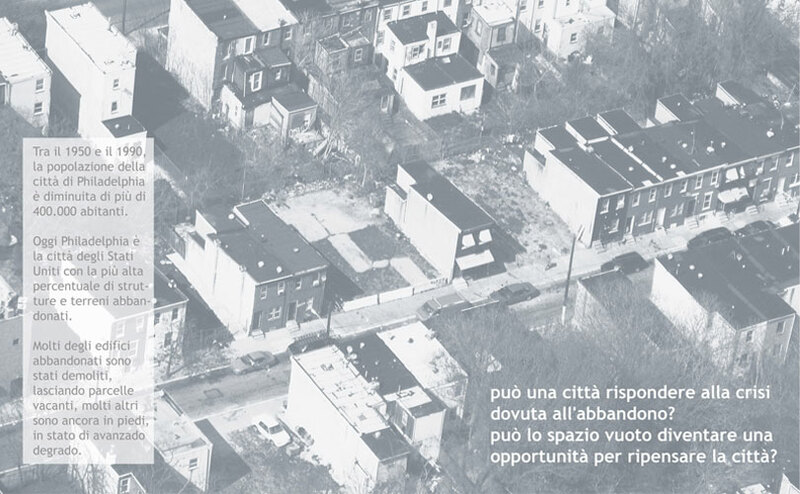 The phenomenon originated and expanded in parallel with the industrial crisis of the 50s and the city today has to deal with vast abandoned areas, in deep decay, laying close to the city center. 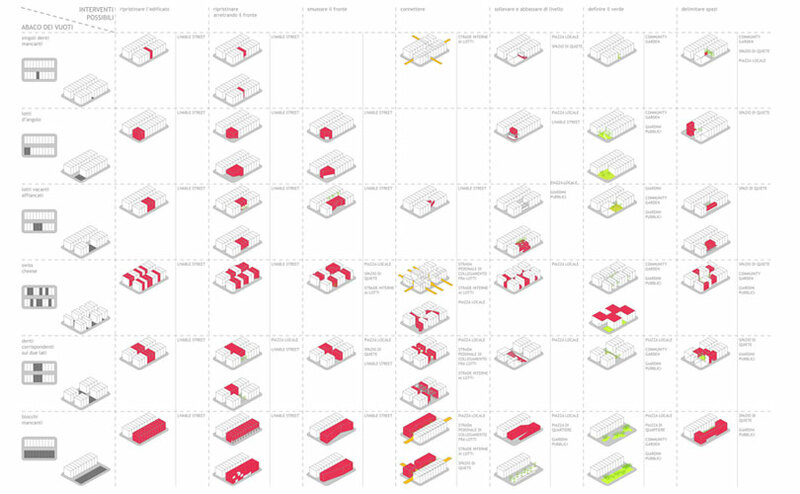 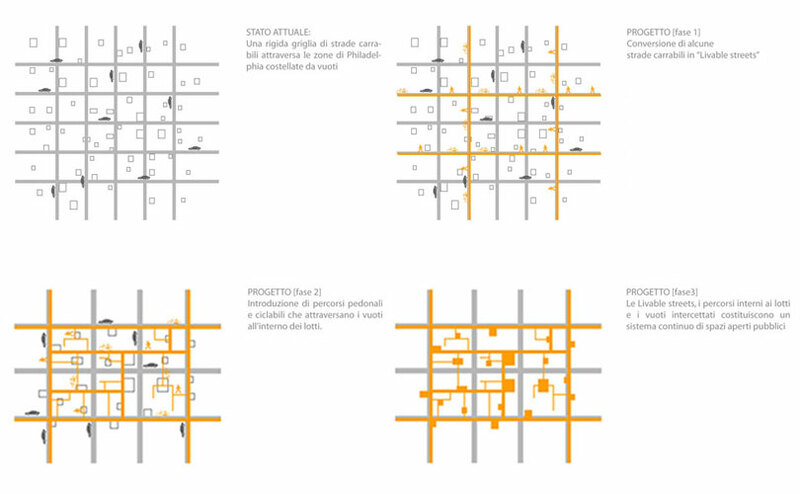 To reinsert these derelict spaces in a living-cycle, a strategy has been developed on multiple scales: the gaps, currently scattered chaotically in the rigid grid of the blocks, are converted into an interconnected system related with the existing city. 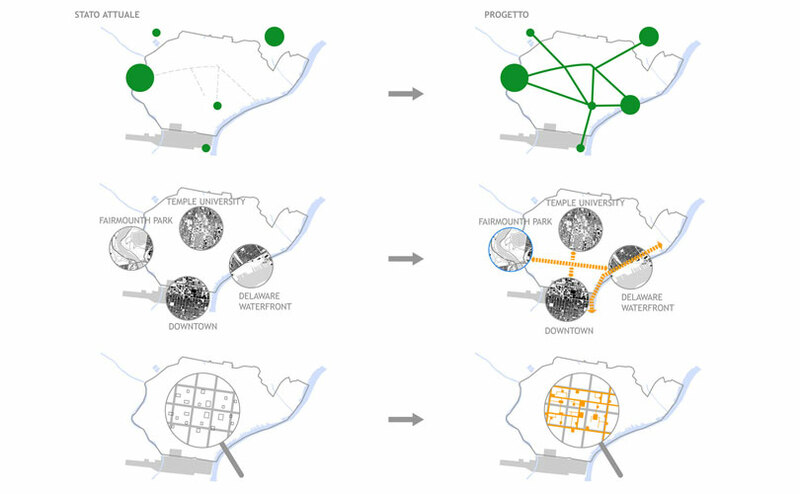 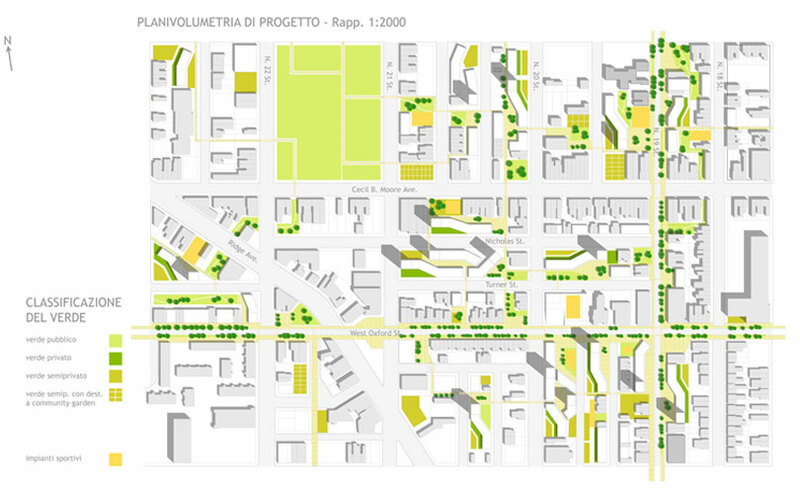 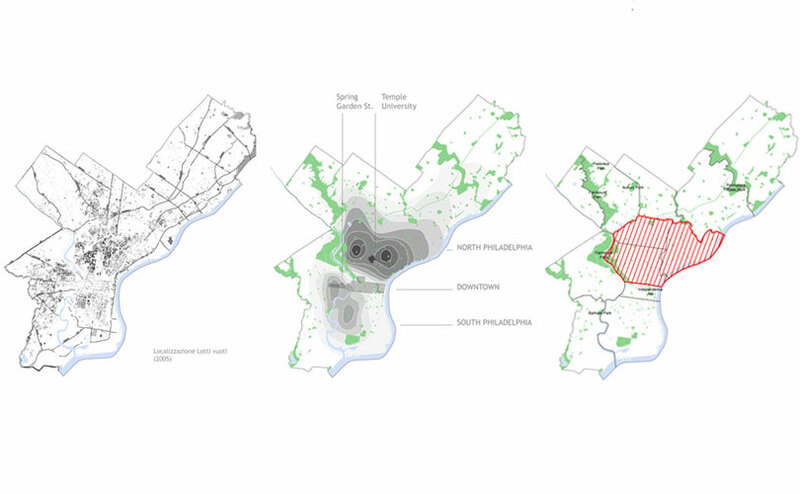 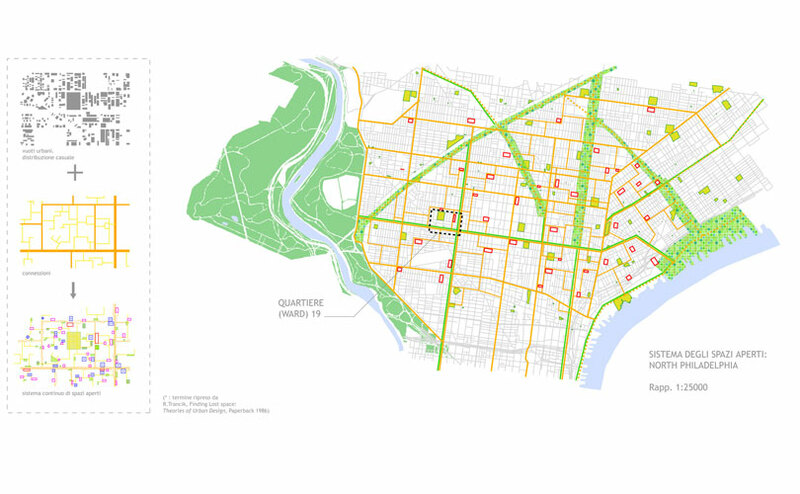 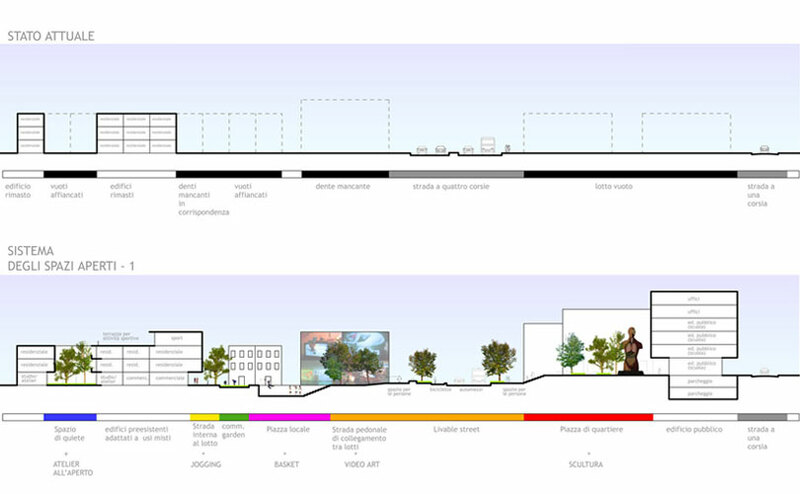 From lost spaces, the urban voids become areas of strategical rethinking of the urban infrastructure system, they give shape to a green network connected to the existing city parks. 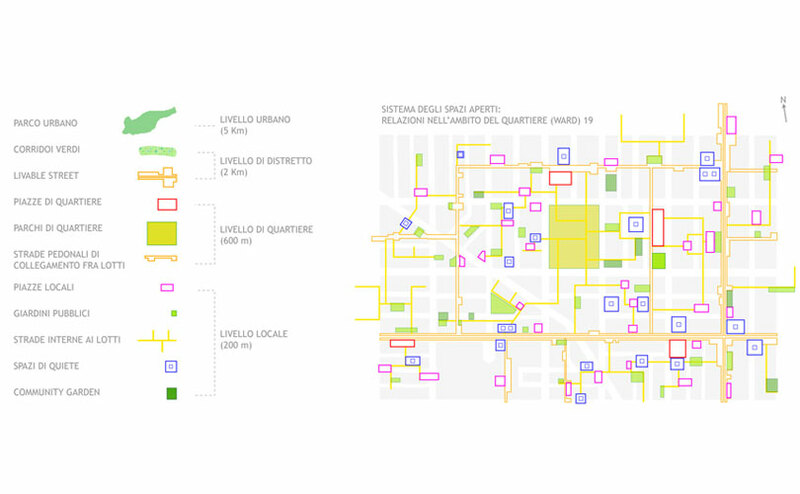 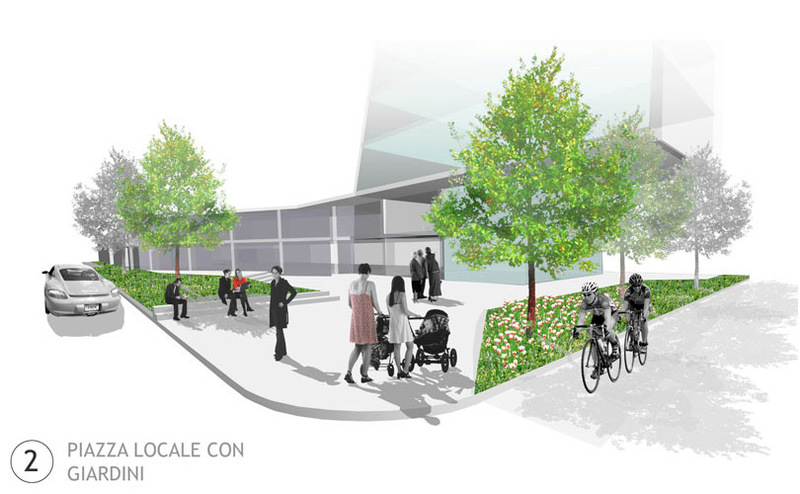 At the local level, single voids, together with the new paths that intercept them, are translated into a continuous system of collective open spaces. 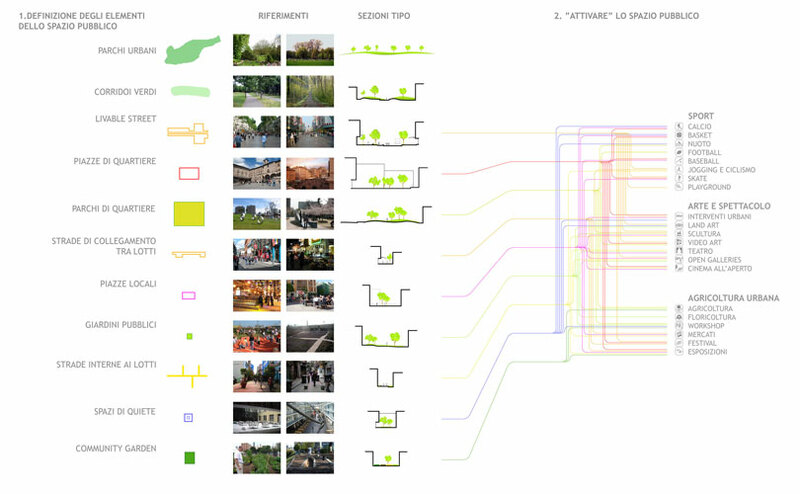 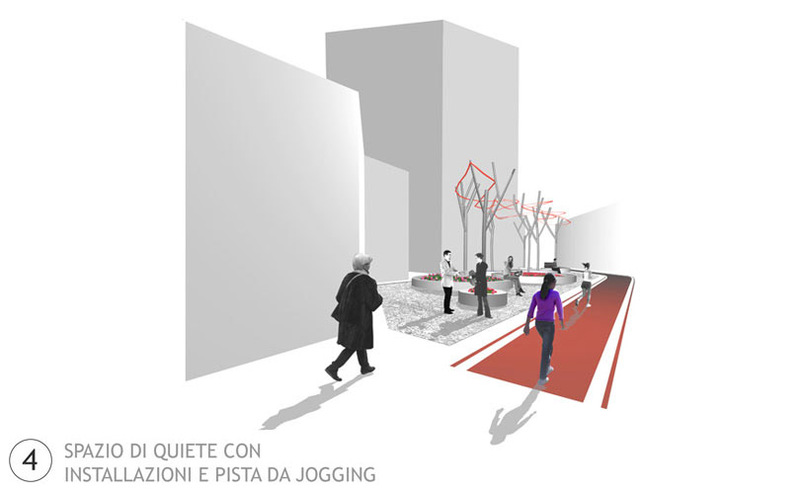 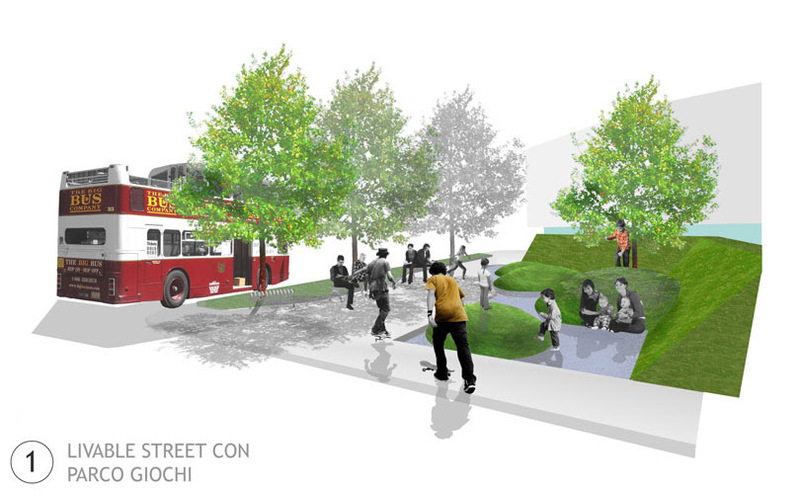 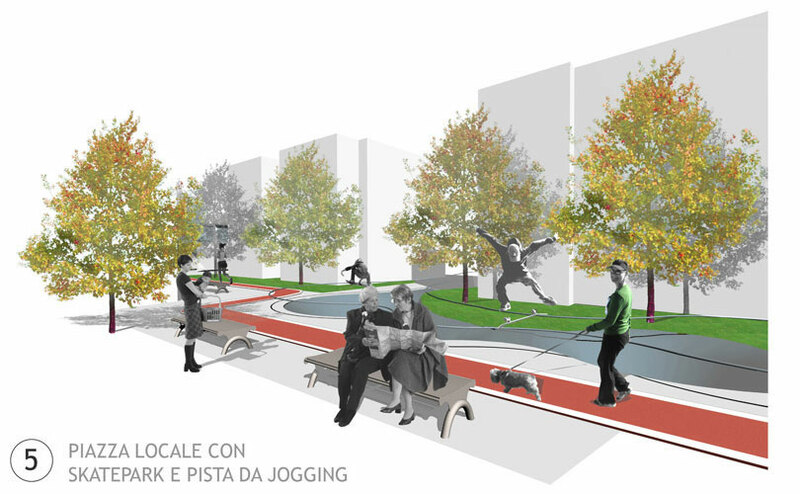 In order to provide sufficient intensity of public use to the new hierarchy of streets, parks, yards, etc, the strategy involves their hybridization with elements derived from the world of sport, art and urban agriculture. 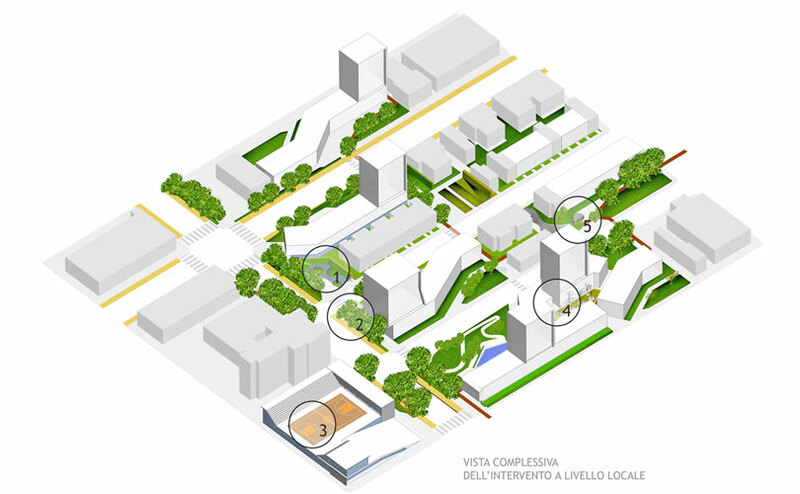 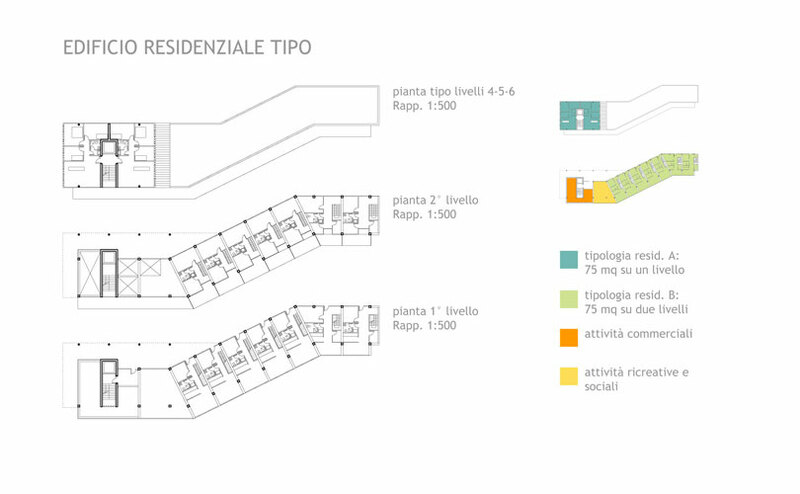 The new buildings typologies give a different shape to the block organization and introduce mixity and visual variety in the districts.